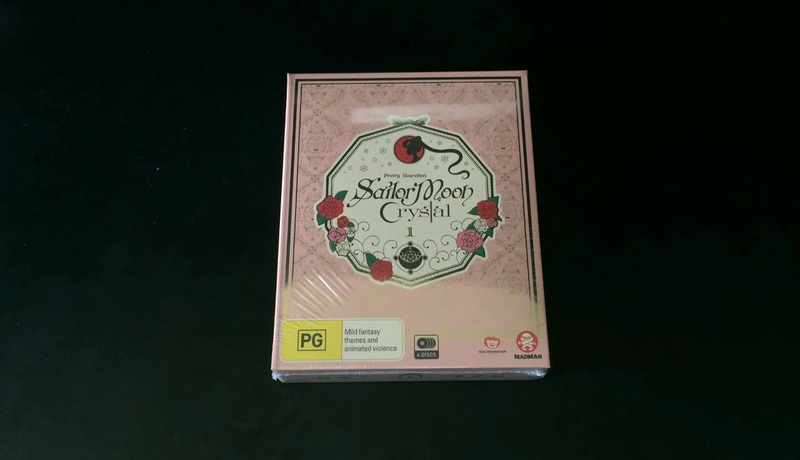 Although their are still no plans for Sailor Moon Crystal, or it’s original anime adaptation Sailor Moon, to receive a UK release any time soon our friends over in Australia, via anime distributor Madman Entertainment, continue to receive both variations of the franchise and today we will be talking a closer look at the recent Limited Edition Blu-ray and DVD Combo Pack release of Sailor Moon Crystal – Set 1. 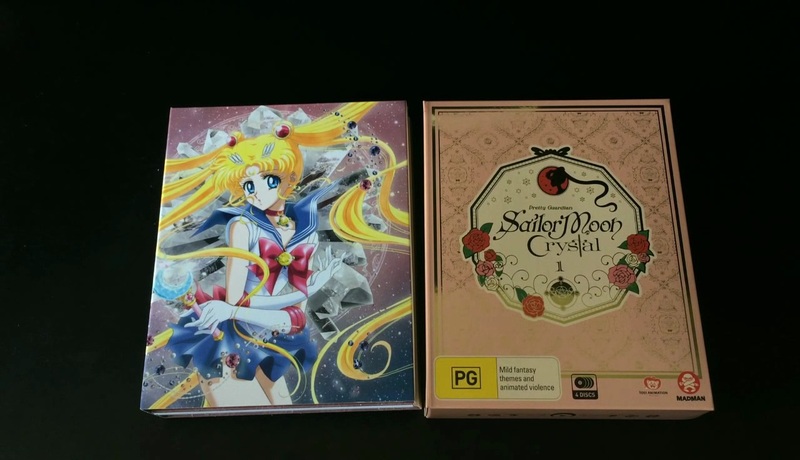 For those unaware Sailor Moon Crystal – Set 1 was released in Australia in three different variations; a standard DVD, a standard Blu-ray and a Limited Edition Blu-ray and DVD Combo Pack, with the latter not only including an artbook but a selection of artcards packaged inside special packaging. Unfortunately however the packaging isn’t as “special” as one might expect; as unlike the previously released Sailor Moon and Sailor Moon R sets, which featured strong, sturdy chipboard artboxes, this Limited Edition set uses the thin carded sleeve design that MangaUK often use for their ‘Limited Edition’ sets. For something that should be considered a ‘collectors item’ it is incredibly disappointing. Why exactly? Well the thinner card means it can easily be damaged – such as creased or torn apart – especially if you are having it delivered. 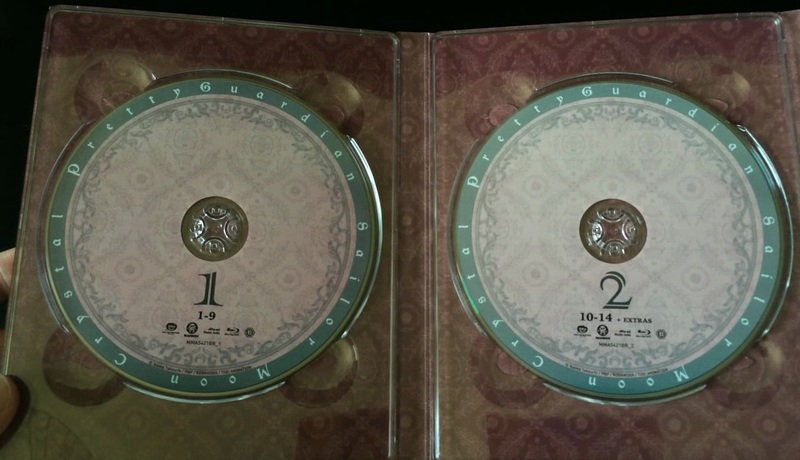 The outer packaging aside the Blu-ray and DVD discs are housed inside a digipack, which has been designed in a similar maner to Anime Limited’s digipack designs, that features impressive artwork of Usagi in her Sailor Moon outfit. Personally this is my favourite part of this Limited Edition set as it features glorious artwork that spreads out across the entire digipack and unlike the carded sleeve used to hold it it is actually quite strong. Unfortunately however the disc artwork, which has been kept to a minimum and reflects the presentation of the original Japanese releases, features no character artwork and instead uses simplistic styles and design. Of course it looks nice; but with Sailor Moon Crystal featuring so much vibrant and colourful artwork it’s a shame that its not being used to great effect (like the previous DVD releases of Sailor Moon). As this is a Combo Pack release the set features both DVD and Blu-ray discs (two each) and each have designed slightly differently so that you can easily notice which is the format of your choice. 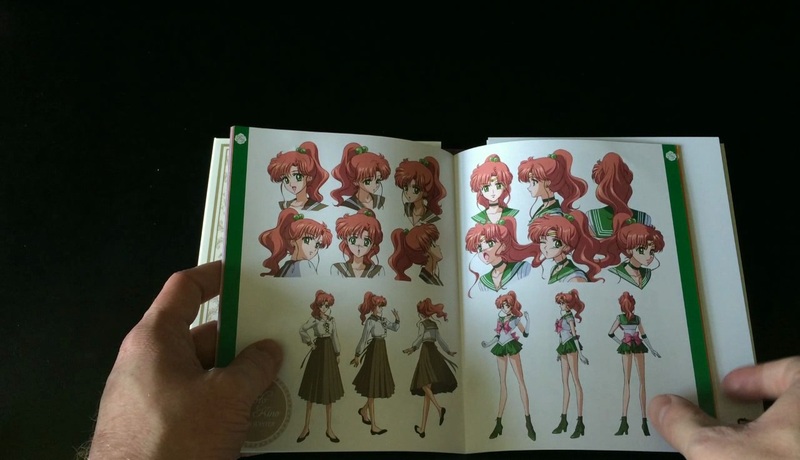 Packaged alongside the digipack is a 34-page (or so) art booklet that features various character images from this part of the series, such as pictures of characters from different angles, as well as drawings of items and weapons used within the show. Finally in addition to the artbook is a selection of character art cards with one card per character and each are just stunning to look at. It goes without saying that this Blu-ray and DVD Combo Pack release of Sailor Moon Crystal features both the newly produced VIZ Media English Dub as well as it’s original Japanese audio (with English subtitles) and, more importantly, features the first fourteen episodes of the Sailor Moon Crystal series, which is theoretically Season 1. Overall this Limited Edition Blu-ray and DVD Combo Pack release of Sailor Moon Crystal is a great addition to my anime personal collection; but at the same time the packaging choice (which is a thin carded sleeve) leaves much to be desired. For instance the set has been on my shelf for a few weeks now and it’s already showing signs of wear; something which doesn’t happen with chipboard artboxes unless you manhandle them. In any event it’s a nice collectors set, maybe a tad overpriced; but still great nontheless and better yet as it’s Region B compatible it means we can watch it in the UK as well!